For those of you who can't afford the almost ten bucks per viagra pill, or any other competitors' version, there is hope. Try fruit, and you will be "fruity" enough for your lover or boyfriend or special friend. More specifically, watermelon will do the trick. According to a staid study, all research mind you, done by Texas A&M's Fruit and Vegetable Improvement Center , watermelon, induces a high production of citrullin, a substance that produces an amino acid with Viagra-like effects, that in turn, can treat erectile dysfunction and perhaps even increase libido. 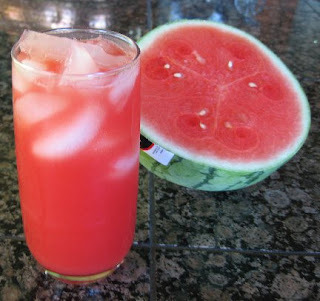 The rub here--you must drink six cups of watermelon!